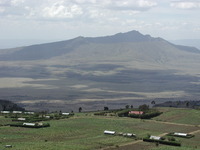 Climbed mount Longonot in 1983. We hitched from Naivasha with an idea of getting to the top of this enticing peak, and although followed by a small boy who tried to entice us with his guidance services, we told him "No", we didn't need him, and after some time pleading, he saw we were serious and left us to continue alone. Completely ignorant of the height of the mountain and the dangers of wandering the bush alone,two 23 year old girls,armed only with one avocado and a rapidly warming bottle of water...slogged our way up to what seemed the peak...and to our amazement was the lip of the volcano. When we returned to the duka at the bottom of the mountain, desperately thirsty and knackered, the shop keeper couldn't believe his eyes...and laughed his head off as we sank two bottles each of Fanta and 7up before we could say a word. He must have thought we were crazy muzungus, and from the distance of 30 years I tend to agree with him!! BUT, it was done and do-able...we wore tennis shoes (sneakers) and shorts and I think we might have had hats on, but no other equipment.. I would advise with hindsight, to bring WATER and fruit,sunblock and binoculars,cameras and notebooks. MAGNIFICENT, would advise anyone who wants that it is there for the exploring. Saw one snake on the way, slipping out of the way of these 2 noisy foreigners...nothing else of danger. 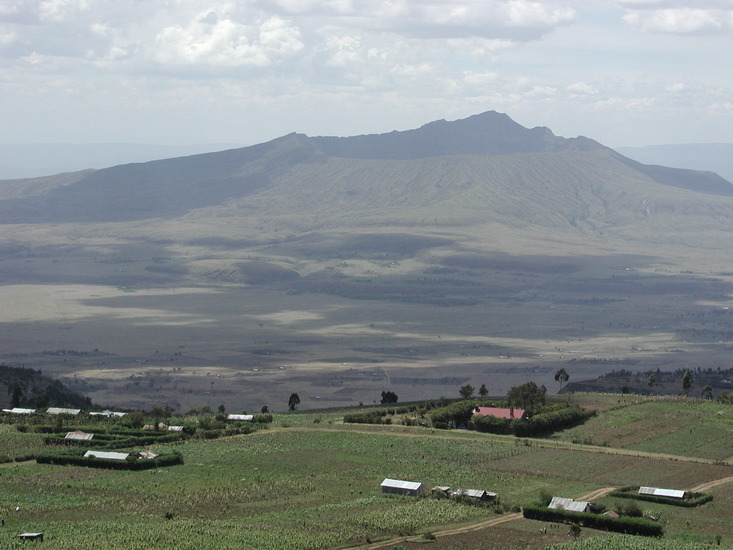 Use this relief map to navigate to mountain peaks in the area of Mount Longonot.